Discussion in 'Public Events' started by Lina, Aug 30, 2018. Ol' Flourdumpling is busy stuffing his face over in Bywater during the Farmer's Fair, and there are lots of visitors there stepping on the local hobbits. 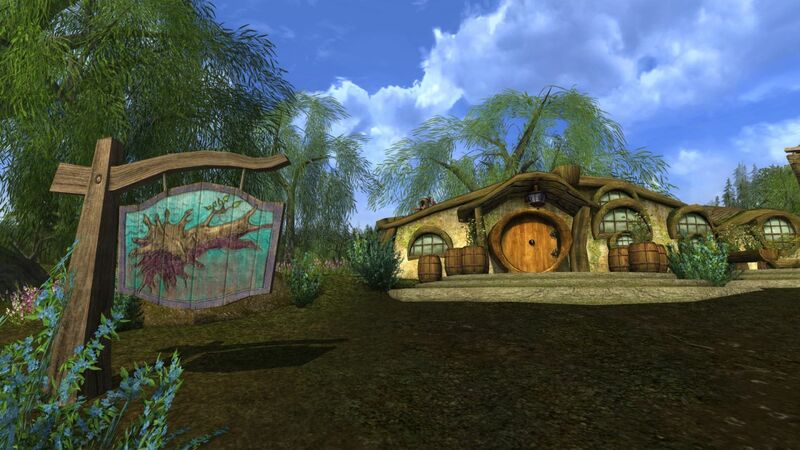 So naturally, the weekly hobbit inn night will move from the Green Dragon! To The Floating Log! Have no fear, master Ponto Hopsbloom is more than happy to welcome hobbits to the Floating Log in Frogmorton. He'll greet yer all warmly, although hopefully not with warm ale, and better not with the most "hoppy" of the local ales... Pycella will be hosting his Friday, so have a chat with her if yer ponder on something! On Friday September 14, we will hopefully be back in the Green Dragon!